This year’s American Graffiti theme will supercharge the weekend. Three Rivers Casino Resort is joining our event as a major sponsor this year. The event starts Friday with registration and an “All Cars Welcome” show-and-shine at the casino. See the four American Graffiti tribute vehicles and the famous Copper Caddy featured on Velocity Channel’s program Bitchin’ Rides. also featuring Best of Show winners from prior years. 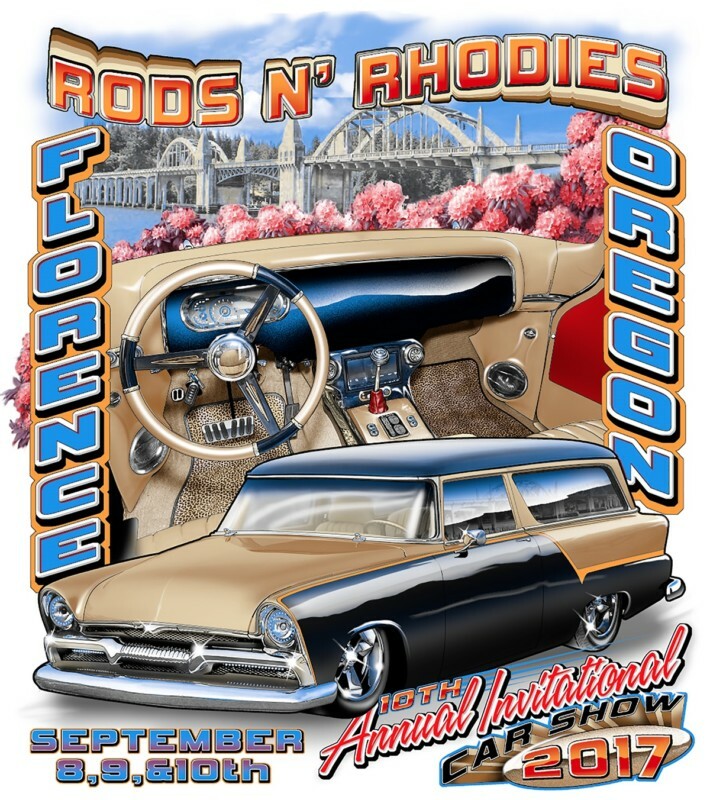 Florence will be in top gear and revved-up for the 10th Annual Invitational Rods ‘N Rhodies Car Show September 8-10. The event showcases up to 125 of the best high-end hot rods and custom cruisers from 1976 and earlier from the west coast, along with food, a vendor fair, live and DJ music, show-and-shines, and a classic cruise. Rods valued in the range of $250,000 are regulars at this event and this year we have some famous special guest vehicles. Three Rivers Casino Resort is joining our event as a major sponsor this year. They’ll sponsor the four American Graffiti tribute vehicles and the famous Copper Caddy featured on Velocity Channel’s program Bitchin’ Rides. The event starts Friday with registration and an “All Cars Welcome” show-and-shine at the casino where attendees can check out all these incredible rides and Best of Show winners from prior years, and visit with owners.